It’s essential to monitor the inbound and outbound mail traffic of all emails, spam and malware to ensure the security and business continuity. Often administrator needs to write scripts using get-mailtrafficreport or get-mailtrafficsummaryreport PowerShell commands to meet their mail traffic reporting requirements. AdminDroid Exchange Online Reporter gives you the information about all the inbound and outbound traffics in its rich user interface. This free tool provides all the necessary statistics about who send and receive most mails, and who is getting most spams and malware. The following statistics can be observed by just having a quick glance in AdminDroid Office 365 mail traffic dashboard. Summarized weekly, monthly statistics of all the incoming and outgoing mails, spam and malware. The top 10 users who are sending and receiving of mails, spam and malware. The daily trend of incoming and outgoing traffic of mails, spam and malware. Shows you the top 10 mailboxes by the used size and the percentage. The following are the mail traffic reports offered by AdminDroid Exchange Online Reporter tool. Top mail senders report helps you to find the users sending most of the mails in your organization. These results are ordered from top to low so that the top mail senders will appear first in the report. Top mail receivers report helps you to determine the users who are getting most of the mails in your Office 365 environment. This report shows the users who are affected by junk or spam mail at most. The report results are ordered by the received spam count so that the highest spam getting user will appear at the top of the report. Top malware receivers report shows all the malware targeted user. Further, it provides the email-id of the malware receiver and the number of malware mail received in the past. Daily overall traffic summary report shows the summarized daily statistics about all the incoming and outgoing mail in your Office 365 tenant. This report provides statistics such as DLP(Data Loss Prevention) policy hits, DLP policy override, DLP rule hits, Transport rule actions, transport rule hits, good mail, spam, malware, etc. 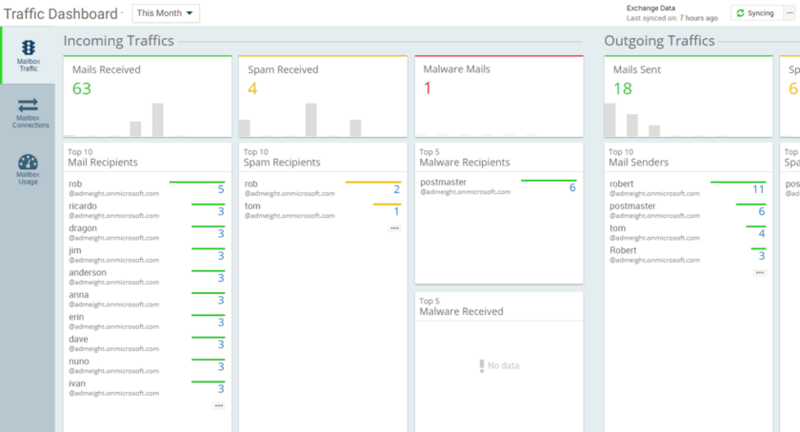 Daily user traffic summary report shows the daily incoming and outgoing mail traffic of each mail-enabled users in your organizations. This report provides statistics such as DLP rule hits, DLP policy false positive, DLP, Spam content filtered, spam envelop block, transport rule hits, transport rule action, transport rule messages, good mail, spam, malware, etc. 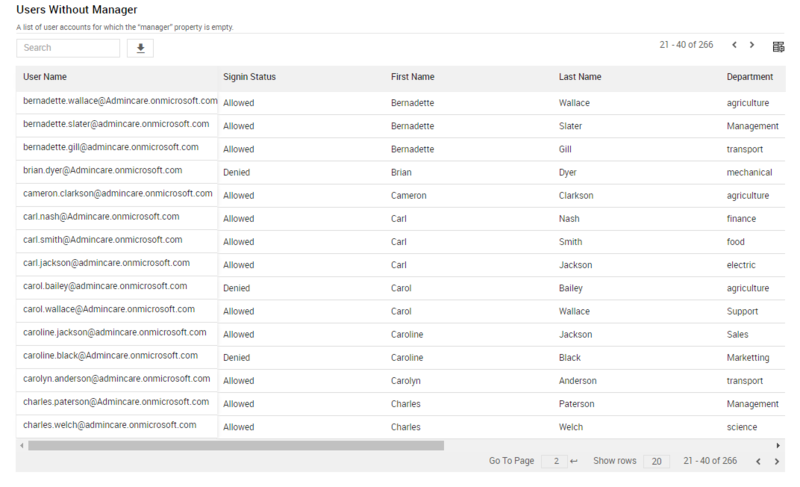 Top spam sender report shows the list of email ids which were used to send spam messages. This report helps you to analyze why that message was filtered as spam and take necessary actions. Top malware senders report shows the list of email ids which tried to send a malware content. This report helps you to find out the infected system and have a security check.